Never fear -we’ve got you covered. Like most things in life, parties are best when kept simple with an emphasis on fun. So, here are 3 easy steps to planning your perfect Halloween party. The first place most of us get overwhelmed is over thinking things like decor, activities, food, etc. 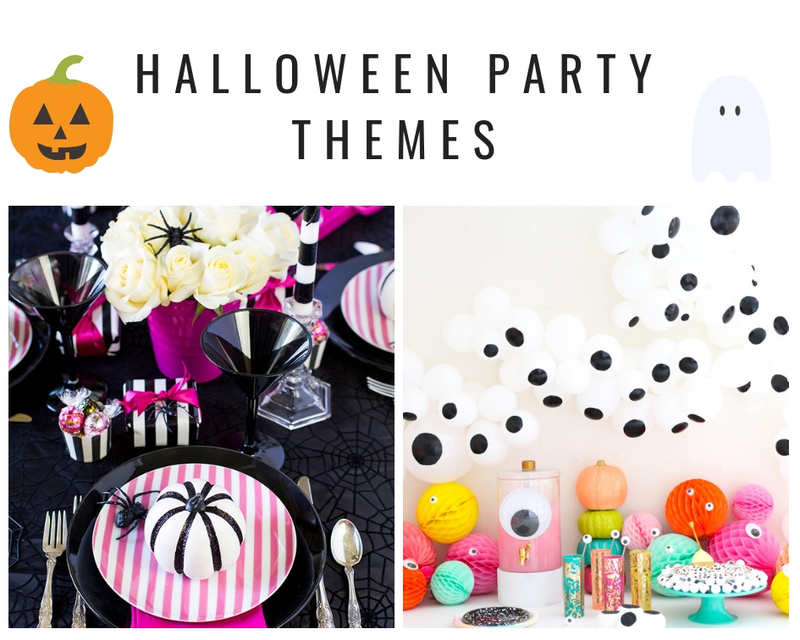 Streamline this entire process by picking a theme for your party. And yes – this can be done on the cheap! Look at these examples below from akailochiclife and pizzazzerie. Notice the themes? That’s right – googly eyes or pink! Literally two of the easiest and least expensive ideas we’ve seen, not to mention adorable and fun. Use these coupon codes from Fun and scour the clearance section for even more ideas and more savings. If you feel a little more high-brow this year try one of these sophisticated Halloween party ideas. Most people aren’t coming to your Halloween party expecting a sit-down dinner or gourmet appetizers. You can definitely keep the budget in check with a few clever offerings that take very little time and even less money, but still create a wow factor. 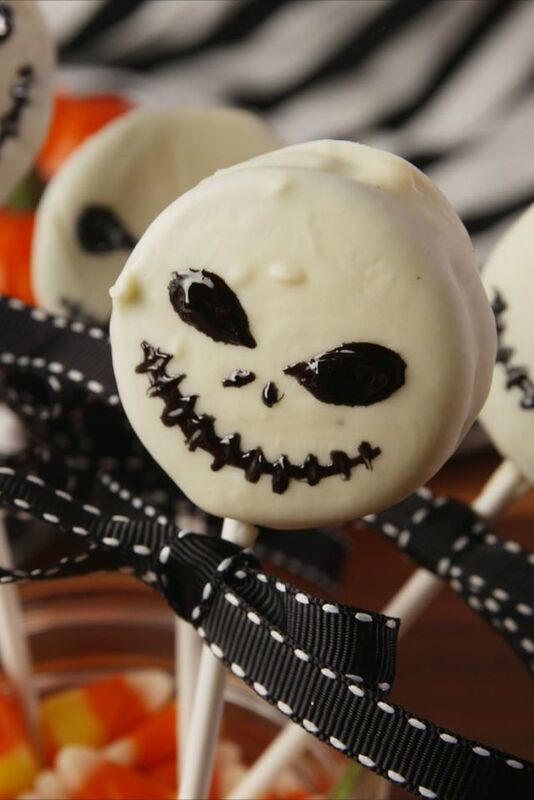 Like these decidedly simple but wonderful Jack Skellington Oreo Pops. Keep sugary drinks to a minimum and offer water or another healthy drink for kids. If appealing to a more adult crowd, let people BYOB their beverages and try any of these Easy Halloween Appetizers for snacking. Don’t forget to check out the party-friendly possibilities on sale at Costco and Target right now too. Finally, and possibly most importantly you need to prepare your costume. After all, no host has a proper Halloween party without a pretty fantastic costume. For the ladies, these make-up tutorials are great – and some require very little to be purchased. Here are 52 DIY Costumes ideas too, a few of which you can throw together in a day. After all, you’re keeping things stress-free for this event! Still, sometimes DIY is more work than you feel like putting in and online shopping brings exactly what you need delivered to your door. 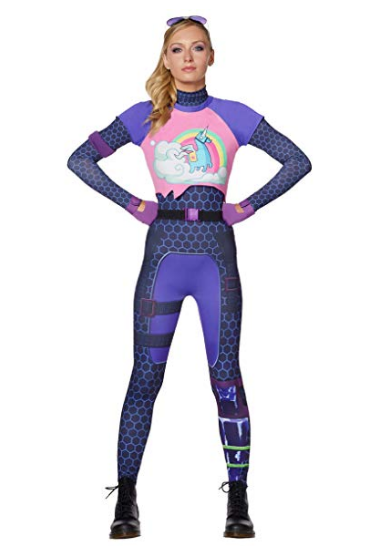 You can even find costumes online for under $20. Add a coupon and you might come out cheaper than DIY in the long run. That’s it! Pretty simple, right? These tips should help you throw together your very own Monster Mash in no time! Want more tips, coupons or deals? Sign up for our newsletter and you won’t miss a thing! This page was last updated on April 22nd, 2019 at 01:12 (PST) and took 0.00s to process.